Location: Spatial Laboratory, Frank Tate Building, University of Melbourne. Climate Change is the defining challenge of our time. Blockchain represents one of today's most high potential technologies. 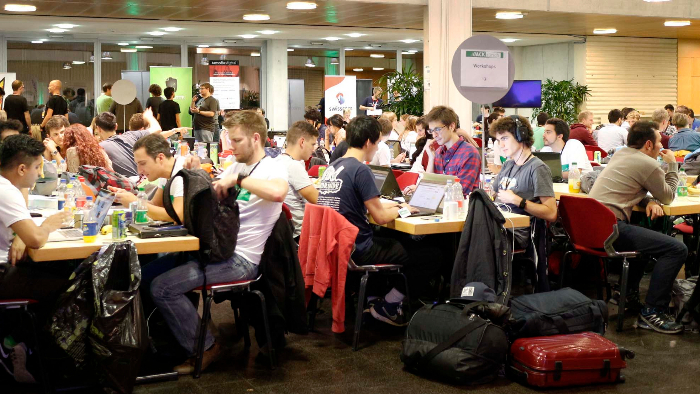 #Hack4Climate brings the two together to create innovative solutions to the climate crisis. Climate Reality Australia in collaboration with #Hack4Climate is hosting a free ideation workshop in Melbourne on 25 September connecting the climate change and blockchain communities. This workshop aims to inspire a new range of climate solutions, do some rapid ideation exercises around key areas of potential blockchain innovation, and learn about how you could be one of 100 fully funded hackers heading to Bonn, Germany this November for the global #hack4climate event as part of the COP23 climate conference. The Bonn Hackathon, held in parallel to the COP23 Climate Conference (UNFCCC process), will feature and fund 100 of the world's leading technologists and climate change experts, brought together to start a movement in the block chain community geared towards technolgoies for low-carbon pathways. The #Hack4Climate Melbourne and Sydney events are part of a global series of events. From London to Zurich to Seoul, the Australian stage of the program will be the final events before the COP23 Climate Conference in Bonn.